"ColoHealth did exactly what I needed from them-- find me the best rate on my insurance plan." "It was fast and easy to get an estimate on your website and simple to compare plans to find the one that works best for us." 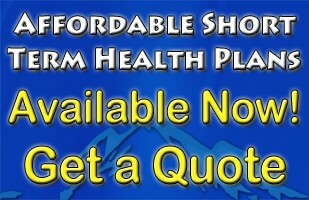 ColoHealth can help you get the best coverage for you and your family! We know Colorado, and love to show Coloradans how to save money for years to come! Applying online is easy. Our simple and quick instant quotes eliminate the confusion about health care insurance plans while saving you money and cutting out-of-pocket expenses. Once you’ve selected the plan that’s right for you, just click 'Apply' for convenient, secure online applications. You may also want to compare health insurance rates with what joining a healthshare plan would cost. This low-cost alternative is only available to people in good health, but can sometimes save a family $10,000 a year or more. "Obviously, your customer service is the best and you have plans available for a wide variety of needs"
“My shopping experience was pretty easy. I just found the plan online that best met my needs and was the lowest monthly payment I thought that I could afford. The application process wasn't too bad. I did get a call from your office making sure I had received my insurance card and was happy with everything. I chose ColoHealth because I had heard good things about you from others. Obviously, your customer service is the best and you have plans available for a wide variety of needs. "It was easy and did not take much of my time"
“My shopping and purchasing experience was a good one. It was easy and did not take much of my time. Overall I felt your processes were as smooth as they can be. You were easy and user friendly. "I enjoyed your website and felt that is was very informative and easy to navigate." "I enjoyed your website and felt that is was very informative and easy to navigate. I was referred to you by a fellow co-worker, but had not heard of the Tonik 5000 program even with all of my Internet searches. I like the low monthly premium, the preventative care option, without having to pay the deductible, and the 100% coverage after you meet the deductible. It seems like a really good plan that suits our lifestyle. YES!! I would strongly recommend you. We are very happy with our insurance.